“Transformers: The Last Knight.“ © 2017 Paramount Pictures/Hasbro. All Rights Reserved. No Transformers movie is complete without some amazing cars courtesy of some of the biggest automakers in the world hoping for a spot in these massive box office successes. Today on ShopTalk we’re taking a peek at The Last Knight’s biggest and baddest automotive stars. Whether they transform into the good guy “Autobots” or the evil “Decepticons” all these cars were undeniably cool even before they became giant robots. Optimus Prime was once the leader of the good Autobots. His status in The Last Knight is a spoiler so we won’t say much. 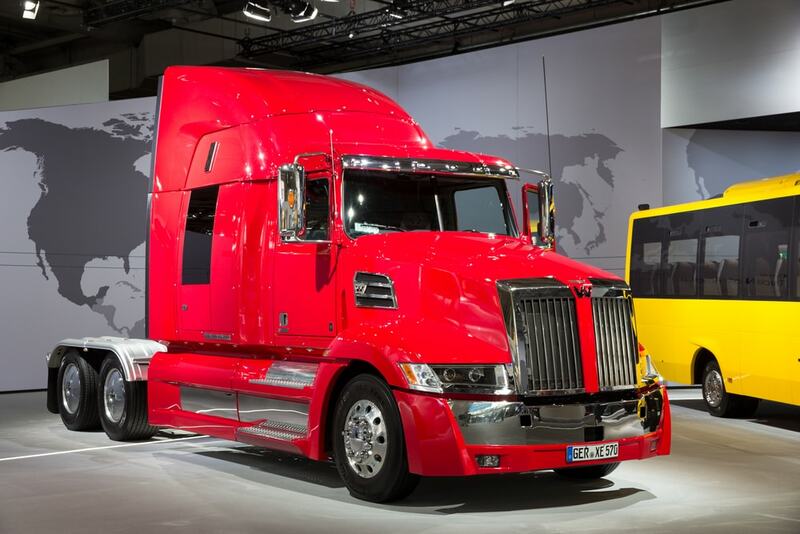 In the 1st 3 movies his Earth disguise was that of a Peterbilt semi but since 2014s AGE OF EXTINCTION he took to hiding as a slicker red & blue Western Star 5700. And who can blame him? Not only is that a much newer model vehicle but it’s quickly becoming a go to for heavy convoys. It has the towing capacity you’d expect an alien robot general would want to carry troops into battle. The fan favorite Bumblebee is back. 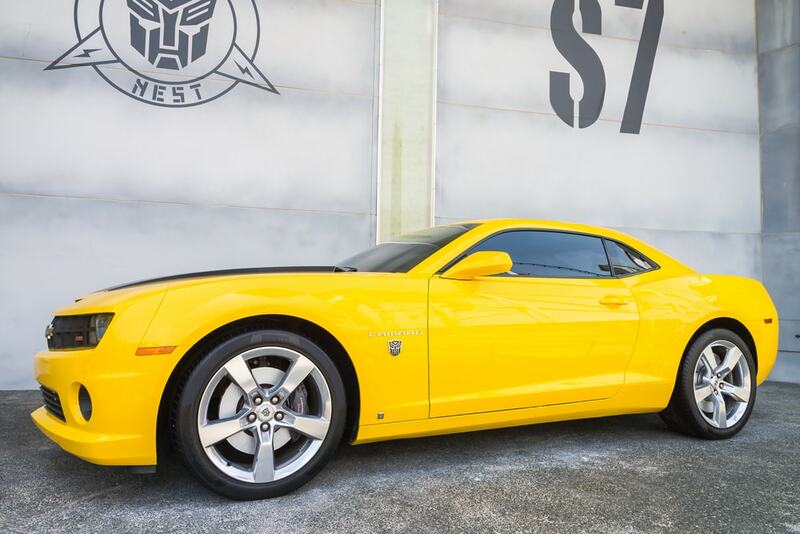 Since 2007, Bumblebee has always been a yellow and black Camaro He simply becomes whatever model year Camaro is available at the time of a new Transformers production. In this case he’s the 2016 Chevrolet Camaro. The gruff commando of the Autobots, Hound also doubles as their “medic” (mechanic). 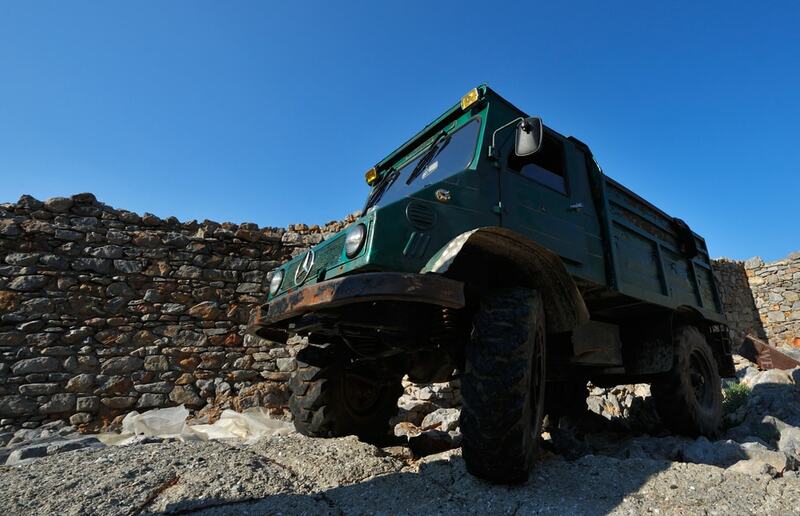 As such he’s a heavily modified Mercedes-Benz Unimog given the paint job, armor plating and equipment of an army Humvee. However if you look again, it was also modified to double as an ambulance. One strange thing about Drift is that in robot form he is styled after Japanese cartoon samurais and yet in 2014 he was played by a Bugatti Veyron, an Italian supercar. In THE LAST KNIGHT, our samurai robot opts to disguise himself as a German, that is a black and red Mercedes-AMG GT R. That car has a slickness and power that matches even the best Japanese supercars, so why not? When the 1st Transformers movie hit in 2007, General Motors was the main automaker providing cars for Bay. While the list of automakers has expanded, GM still features heavily. 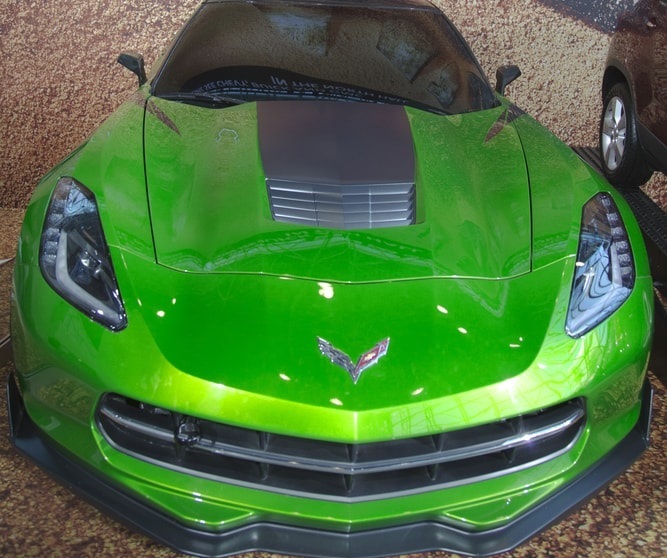 So not only is Bumblebee still a Chevy Camaro, but Crosshairs, the Autobot’s weapons expert, is none other than a custom green & black Chevrolet Corvette C7 Stingray with a split-spoiler. If you grew up with the Transformer cartoon, you probably know Hot Rod. He’s Bumblebee’s “brother” in The Last Knight and he speaks in a goofy French accent. 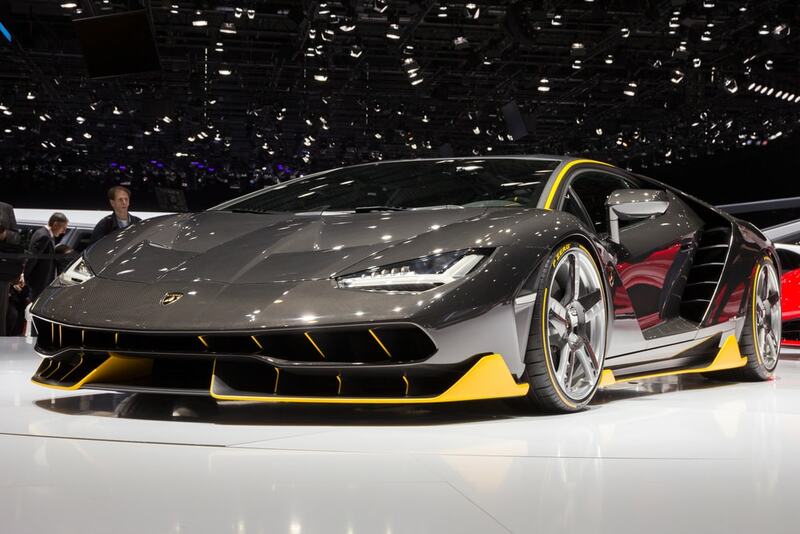 One would think the French accent would mean he’d turn into a French car but instead he chooses to transform into the Italian-engineered Lamborghini Centenario LP770-4. It’s fitting that the character played by Sir Anthony Hopkins has his own robot butler. Yes, that’s a thing in this movie. 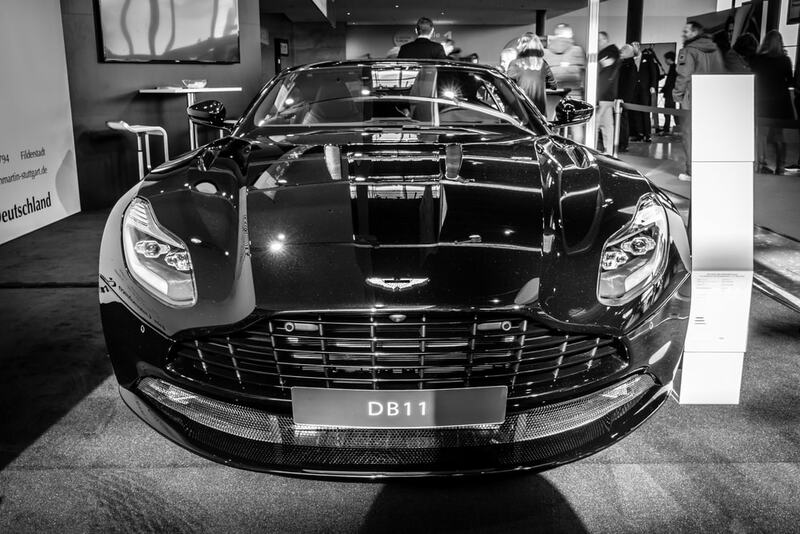 It’s even more fitting that this robot butler speaks in a British accent and transform into the 2017 Aston Martin DB11, arguably one of the coolest cars out of England. Our first “Decepticon” (bad guy) on this list goes by the name Barricade. 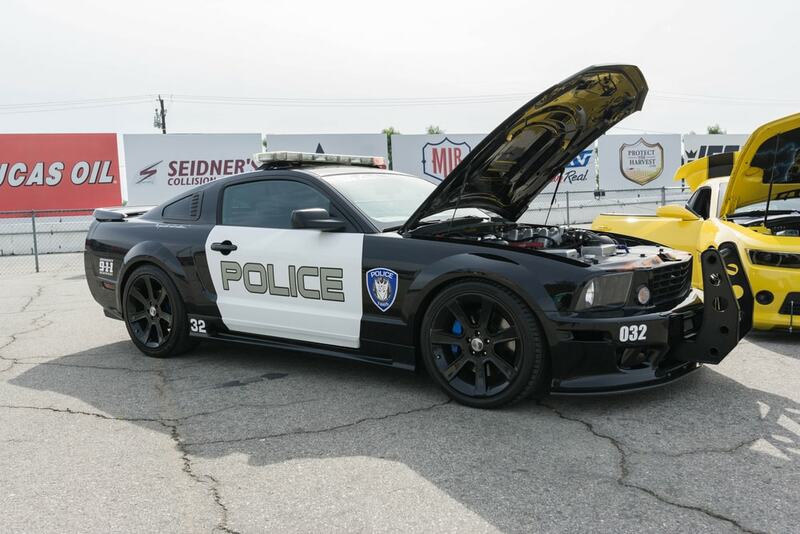 Since the 1st movie he’s always been disguised as a police car, with “to punish and enslave” inscribed on his side panel instead of “to protect and serve.” In the 1st movie he was a 2006 Ford Mustang GT and for this movie he’s been upgraded to the 2017 model. So there you have it! Quite a stacked automotive cast! And thanks to Michael Bay we’ll get not only get to see them push their horsepower to the max but hopefully in spectacular vehicle stunts, crashes and also…giant robot fights. If you like the Transformers movies, you know exactly what you’re getting into. And hopefully when The Last Knight hits theaters this weekend, it delivers!